In 2014 a guest spot on Clean Bandit's omnipresent pop-house smash 'Rather Be' brought Jess Glynne to prominence and with her debut album 'I Cry When I Laugh' the following year, she delivered one of the defining British pop records of the era. At the time of writing it has been a chart staple for 170 weeks with triple platinum sales. Her powerhouse vocal and fearless delivery have captured so many under her spell across a succession of hit singles such as 'Right Here', 'Real Love', 'Hold My Hand' and 'Don't Be So Hard On Yourself'. Glynne's second studio album, Always In Between (2018) also debuted at Number 1 in the UK. 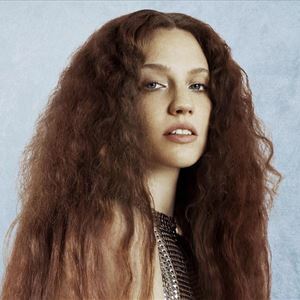 Success continues with the singles 'All I Am' and 'I'll Be There', a seventh top spot giving Jess Glynne the record for most Number 1 singles scored by a British female solo artist. Commenting on the shows Jess Glynne said 'I do hope you can join me in the Summer as part of Forest Live. I am really looking forward to performing in these unique woodland locations around the country'.